After introducing Scia Design Forms last year as a new scripting tool, specifically created for structural engineers, Scia Engineer 14 now brings the full power of this technology by integrating it like a native code check via “Open Design Checks”. Regardless whether an engineer needs a design code from a currently unsupported country, or somebody wants to include design checks found in literature for specific objects or elements, it is now easy to simply write the check and integrate it fully into Scia Engineer. After integration, the new check behaves identically to the native Scia Engineer code checks. Diagrams are plotted on the 3D model, a detailed calculation report is generated and included in the Engineering Report. Moreover, these checks take full advantage of the multiple cores available in the computer to run in parallel at the highest available speed! The base plate calculation checks the design of a column base plate and the corresponding anchorage strength per AISC Steel Construction Manual, 14th Edition, as well as the anchorage to concrete for shear and tension failure per Appendix D of ACI 318-11. The Glulam Timber Beam design uses the input data from Scia Engineer as well as the member-defined data per the 2005 National Design Specification (USA) for Wood Construction. The final output includes both bending and shear unity checks. Calculation of the coefficient for Eccentrically Loaded Bolt Groups in accordance with both the Instantaneous Center of Rotation and Elastic Methods. Based on the input of bolt group parameters, the iteration determines the coefficient based on the geometry and loading of each individual bolt. This coefficient is comparable to values found in Tables 7-6 through 7-13 of the AISC Steel Construction Manual, 14th Edition. A full steel code check following the NBR 8800 is being implemented, both for sectional checks and stability (buckling) checks. With the support of AutoDesign, the optimum steel profile is proposed by the software. An original yet practical application is being implemented by a US customer working on large glass facades. The aluminium railing is defined with a graphical cross section in Scia Engineer and then sent to the check together with additional input data. Thanks to the table tool, the different web parts of the section are defined and checked in a simple loop. Scia itself is finishing a replacement of all its concrete design modules following Eurocode 2; a Beta version is currently tested by clients. The design output is fully transparent on the many design rules of the EC. The development of Design Forms can be done by Scia, by externals and by … yourself. 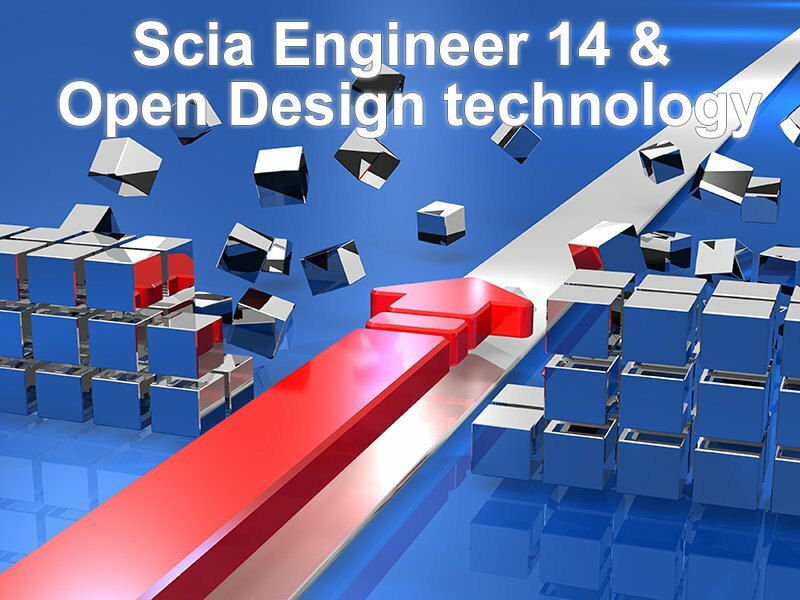 How to expand Scia Engineer with your design questions? Curious to learn more? Watch the Tutorials on Youtube!